It seems that in our current world, with its constant barrage of information and real-time update on all that’s important (or not), I’ve noticed there are fewer and fewer surprises in life. Now maybe that cuts both ways. If, for instance, you’re snowboarding in Megeve – never been, never snowboarded – and your pipes burst at your home back in Minneapolis, you might get a text from the alarm company alerting you to the situation. Maybe that’s a good surprise insofar as at least you have a couple days to prepare for a house with burst pipes and at least you’re in Megeve. Alternatively, maybe you (or me) keep getting peppered with texts, emails and phone calls, saying school is cancelled tomorrow due to the chilly weather. That one is a less good surprise insofar as you can see the movie “Frozen” only so many times. So it was last Sunday night while watching the Grammys that I learned school was cancelled the next day. It was also cancelled Tuesday but by then the surprise factor had diminished. The no-school surprised was temporarily gazumped by Pink, the female pop star performing at the Grammys, descending gyroscope-like from the heavens, severely underdressed, all while clutching a long, gauzy piece of pastel fabric. If the Olympics added the Rhythmic Gymnastics/Moguls/Synchronized Swimming event she’s a sure thing. 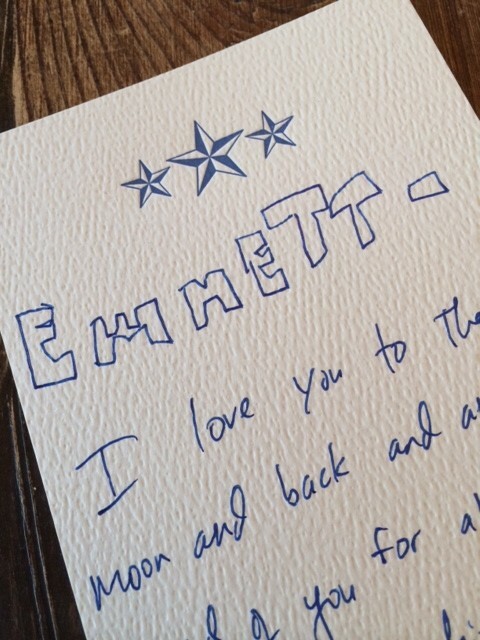 But the biggest surprise of that night was my decision (not Wendy’s), against writing a card to Emmett for his birthday, which was the next day, the one with no school. I figured the card would be overlooked in all the messiness of unwrapping all things Messi and so why bother? It was a decision seemingly anathema to everything Brown Ink stands for but it also seemed like the right decision at the time. Thankfully, the Minnesota Orchestra – in a surprise – won a Grammy and thankfully we decided to write Em a birthday card even if it did get tossed in the bin after a perfunctory reading. But Lorde, Lorde, if he didn’t read the whole birthday card and it appeared, at least to Wendy and me, to register in his newly eight year-old brain that this was special and that this was a note with purpose. Well, shiiiii-take mushrooms, that was a – really, really nice – surprise. The learning from this? Metallica and Lang Lang should tour together, Osmo Vanska should return to the Minnesota Orchestra, and perhaps you should make an effort to write a little more to others, regardless of what you expect the receiver’s reaction to be. You may be surprised. 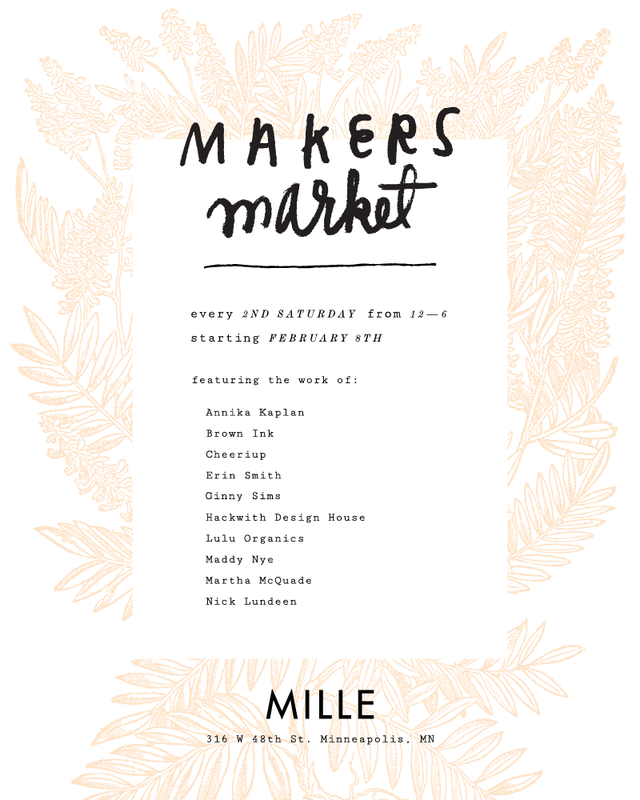 Hope to see you all there at Mille! Perfect time to find something for your sweetheart. It’s out there all right, all that frigid, jaw dropping, colder-than-cold temperatures….oops, I meant to say all that Love, Love, Love of course! Another brilliant reason to scribble out a few heartfelt, warming thoughts to others over the next couple of weeks, especially with Valentine’s Day approaching. 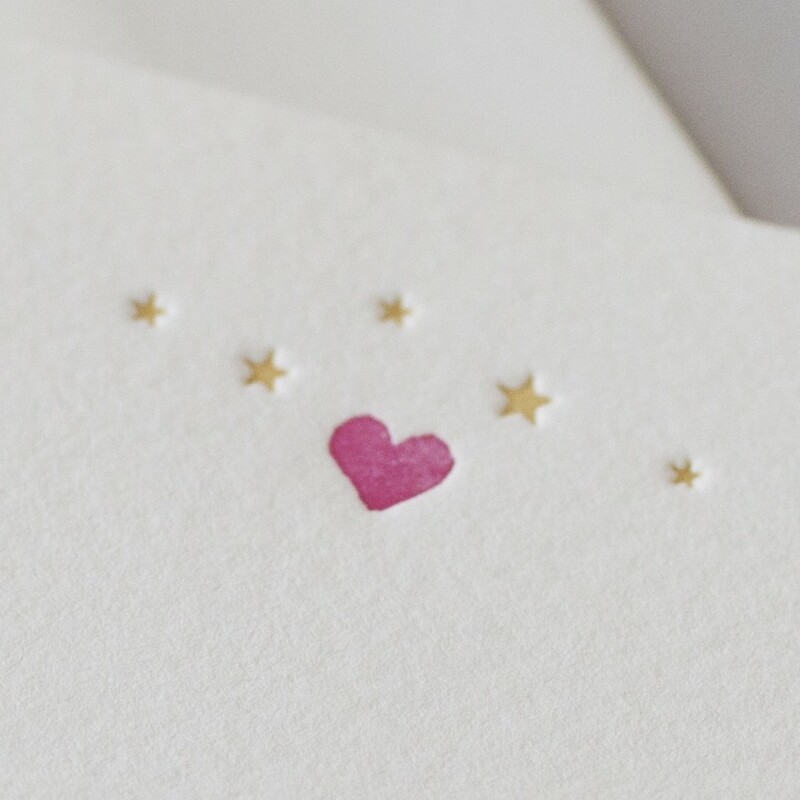 We wanted to share a bunch of our favorite love-themed notecards and also some DIY for those crafty folks out there…. 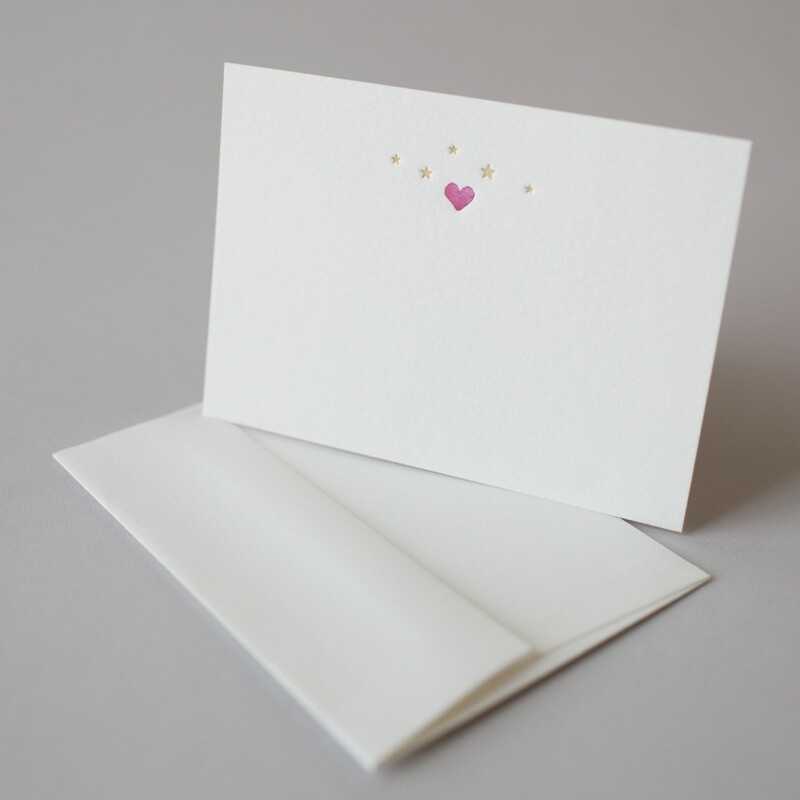 Sugar Paper has created a simple card of Love using my favorite combination of pale gray and gold, with paper and foiled letterpress writing on a white envelope. Elegant yet understated. Using hand-set metal and wood type, B.Impressed (via Moorea Seal) has created this typographic I Love U card for an in-your-face message for that certain someone in your life. 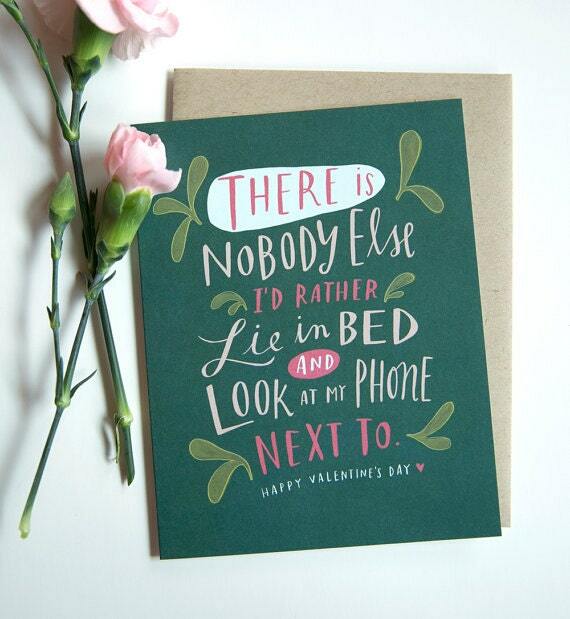 Then there’s one for Generation Y (and maybe a few X’s) lovebirds from Emily McDowell Draws. 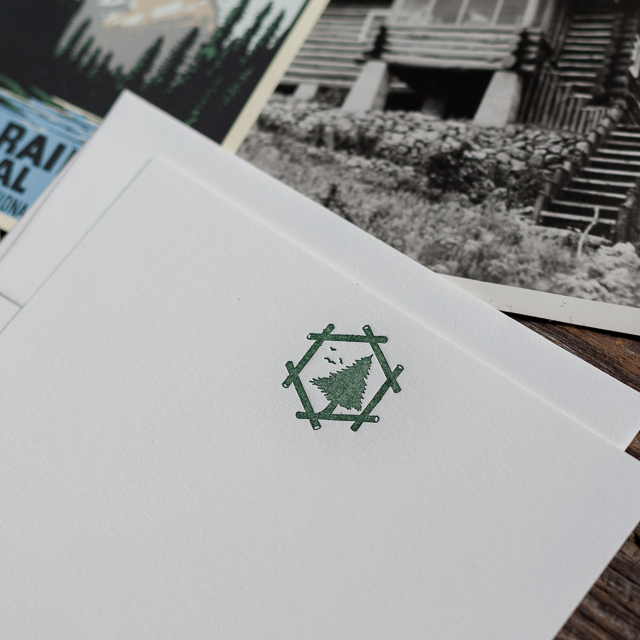 Being a big fan of both stamps and writing, this one wins my heart. Created by paperfinger, I’m delighted to find a shop using hand-drawn calligraphy, starting the process with ink on paper. 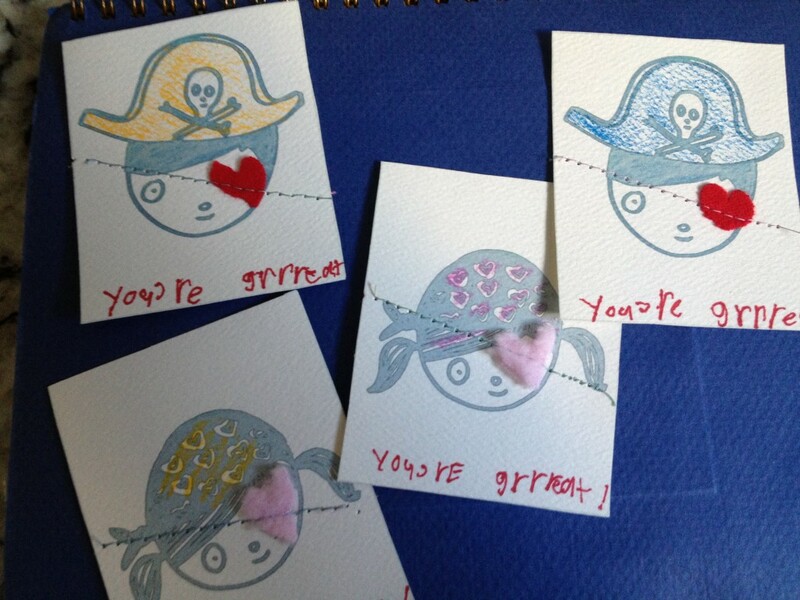 My friend Kristin created these Pirate Valentines with her son Bennett who had been bugging her to take a turn on the sewing machine. They found this fabulous inspiration (and even a FREE download) from Mer Mag blog and away they went. Looking to send someone a hug miles away? 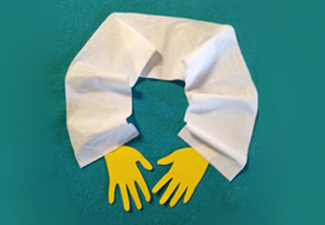 Create one giant hug by writing a note on cut-out hands and, instead of TP, use red ribbon which would reach around the lovable receiver’s body. I “Chews” You Valentine from All for the Boys can grab just about anything your heart desires. If you are looking for a DIY inspirational project but afraid to make the jump, check out the Valentine’s Card workshop I attended a few years back when my crafty side took control. Lastly, if your child is finally getting back to school tomorrow (at 8:36am to be exact) won’t they smile to find a Valentine’s Day Joke Note in their lunchbox signed by you? Print off the FREE Valentine Joke Notes from All for the Boys to warm up those little chilled hearts! 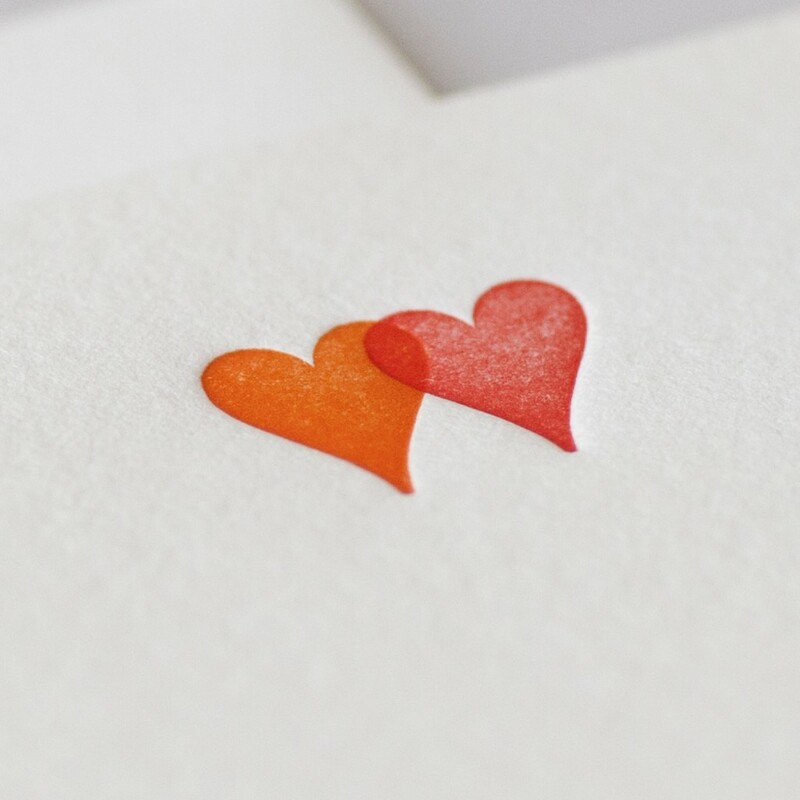 And if you order these stamps now your written words of warmth and tenderness will arrive just in time with the recently released Cut Paper Heart stamp to seal the deal (read history of stamp here). Heat up some hearts and let those words flow! 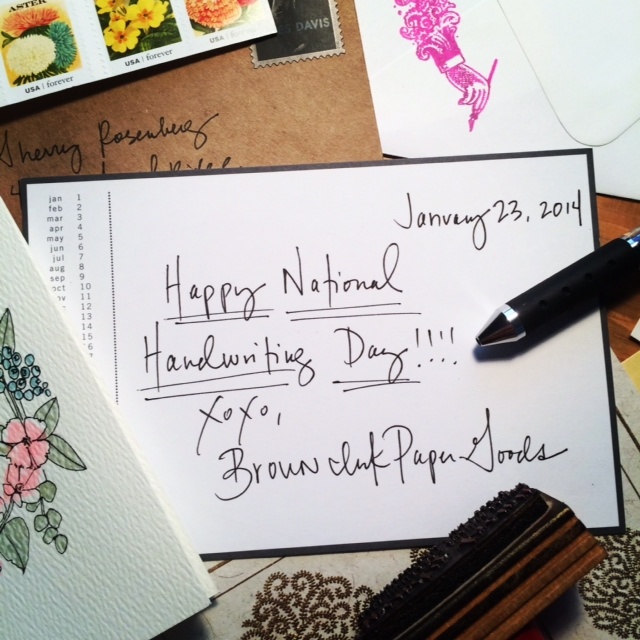 No wonder I had a sudden urge this morning to grab a pen and some stationery, and write out a half-dozen cards to friends and family for various reasons…it’s National Handwriting Day! And if I may add a #5, there can be nothing more heartwarming than to receive an unexpected written correspondence. I find a certain peace and a bit more harmony on the mornings I write. Why not you? It’s that simple people. No more excuses. Letter writing, journal writing, just write. We at Brown Ink Paper Goods have been busy restocking, finding or creating fresh, new lines for all you paper goods fans. Enjoy…and more to come soon! 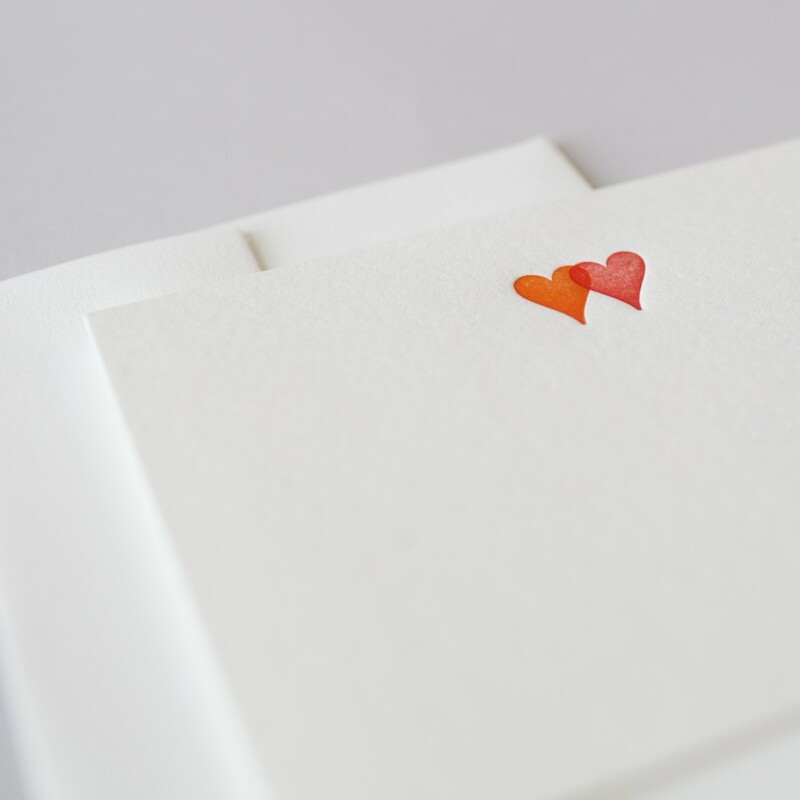 Once again we collaborated with Pomegranate Press to create a line of heartfelt cards which I’m crazy about!! These notes are perfect to send to a friend or loved one for Valentine’s Day but also can be easily used for any occasion. 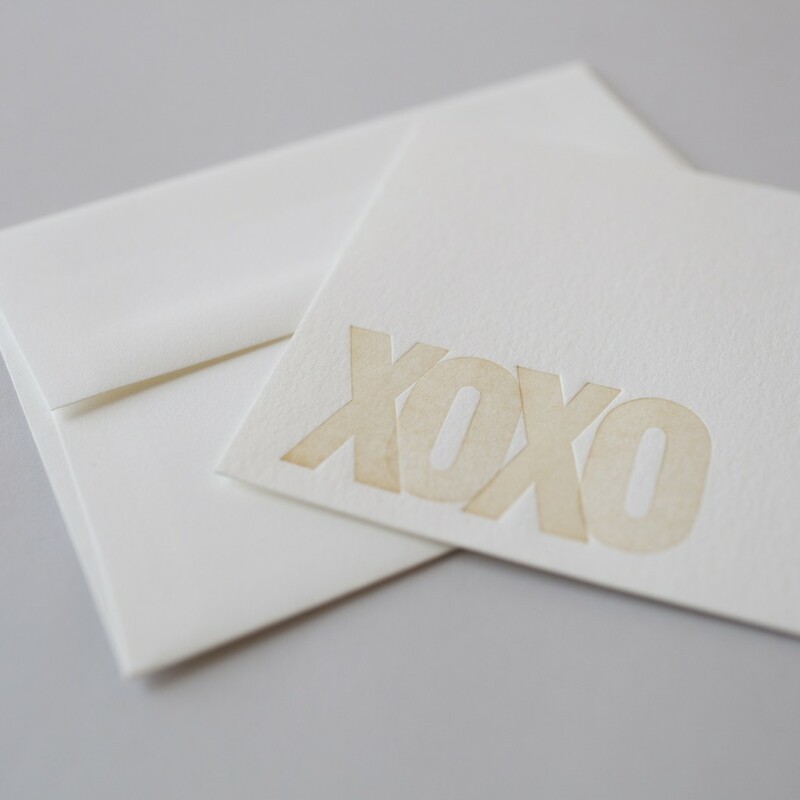 The XOXO’s were made from wood blocks and both the heart notecards were created with vintage letterpress type. 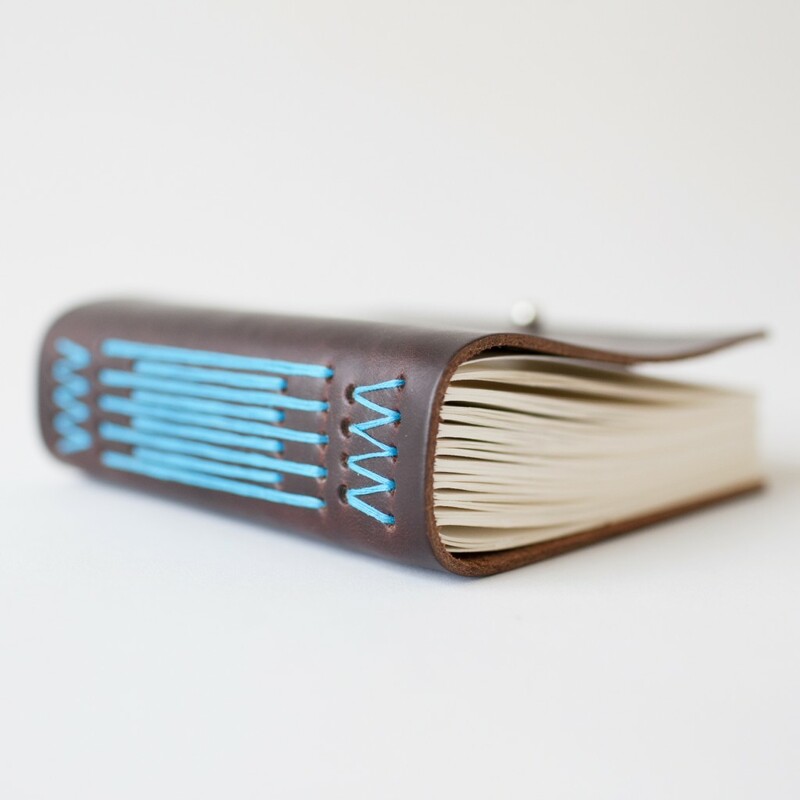 We also asked Jonna at Twigg’s Bindery to create a few more colors from her Cardinal Long-stitch Leather Journals series since they were so popular last year. To Do List in hot pink by le typographer helps keep life in order. Delfonics makes a sweet baby pink Ballpoint Wood Pen for all your scribbles of love. Poppy colored Kraft Journal from Sideshow Press would make any writer warm inside! Also ideal for children for story writing or adventures over the winter months. Octavo Long-stitch Fabric Journal in hot pink, another fabulous product from Twigg’s Bindery, can be the catalyst for a journal you write with a child or your other-half. 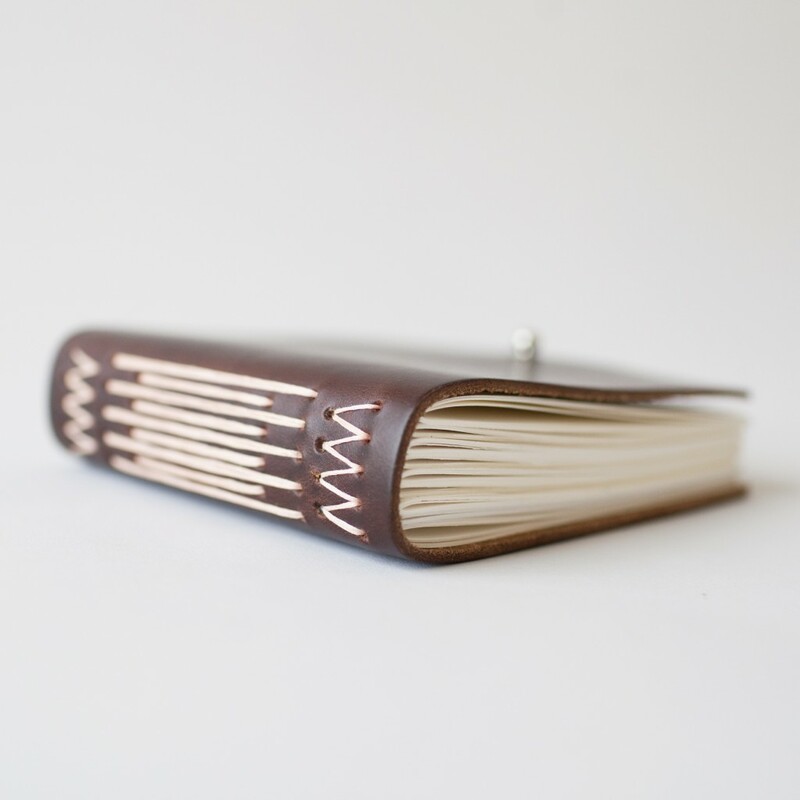 Or a personal, inspirational journal of all that you love and wish for in the years ahead. Use the Peony Ticket List as a coupon book for your favorite mate (good for cleaning the car, movie date in the VIP section, alone time in house, foot rub, etc.). We still have a few items left for SALE in our Holiday collection for those looking for a deal. Too much goodness to go untouched. So spread the word that love is in the Brown Ink house! My sweet Beatrice Brown is almost 18 months old. But no time like the present to finish writing her Birth Story. I actually began writing last spring when she was around 9 months while taking a class at Blooma, a pre and postnatal yoga studio my sister runs, called Writing Your Birthing Story. I had written a little about her birth soon after she was born but had not taken the time to break down the days and moments surrounding this little miracle. In the two-hour class we were guided back to our child’s day of birth with soft lights, music, meditation, and a little yoga, in a loving, sacred space. With chocolate and tea on hand, I felt prepared and supported to relive the experiences of birthing my third and final child. Our teacher, Alyssa Blackwood, suggested we bring pictures, music, images…anything to help us remember bits of the experience. After some deep breaths and going inward, the words started to flow. I began to write and didn’t stop for a good 80 minutes. Of course, this isn’t the case for everyone. Understandably so, many mothers who experienced traumatic labor and births find it difficult to relive the labor, the stress, all of it. Which is why Alyssa believes “the act of writing can help you process your labor experience, from the highs and lows, to the surprises, challenges, rewards, and funny or poignant moments.” Many tears were shed in the studio that evening as we sat supporting one another with no words exchanged. Although I only had a few more lines to write to complete the Birth Story this afternoon, I loved rereading the details of the day when this sweet, little child came into our lives. And now I have given Beatrice the opportunity to create a picture in her mind of what went down on a sunny Monday morning at HCMC with a mighty team surrounding her mom and dad. If you are interested in taking this class, find the next one here with Alyssa on January 31st. It’s a gift you are giving yourself, as well as your child, remembering an historical day in your lifetime through your written words. Cheers Blooma! 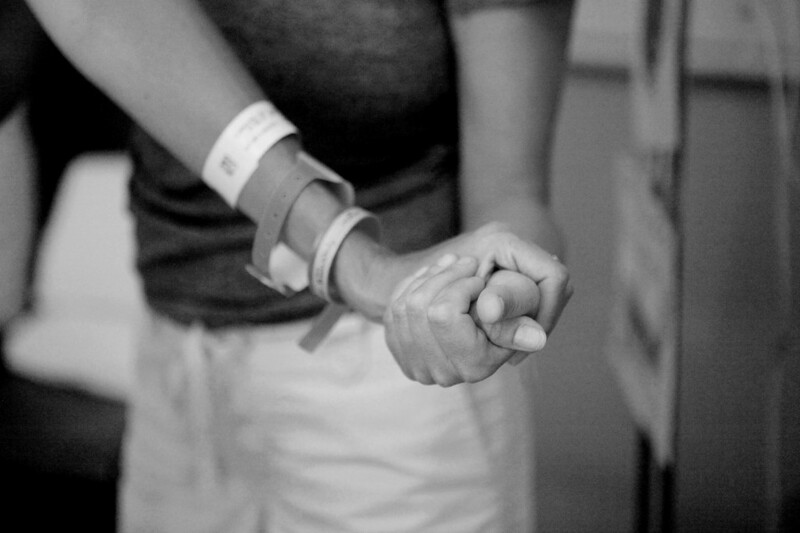 It was the push I needed to document Bea’s Birth Story and move it from my head to paper.